I hope everyone had a great Thanksgiving. It's still Friday, right? I don't know about y'all, but I've had a busy past few days. I've not worked on any projects this week because we host Thanksgiving here and I was working on the house all week. Oh, and buying Christmas ornaments. I said just a few weeks ago that I had plenty of ornaments and didn't need to buy anymore. I also told Charles we would only do two trees this year (one in Han's room and one in the living room), but what did I do? I bought at least 50 new balls and around 15 new ornaments. Oh, I also bought a 3rd tree 'cause you know I need one in my bedroom now that the new floor is down. But, enough with all that. 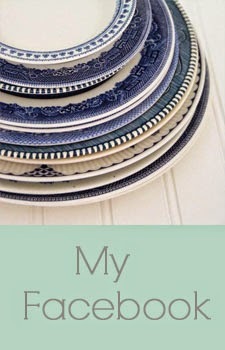 It's time to share my favorite things. 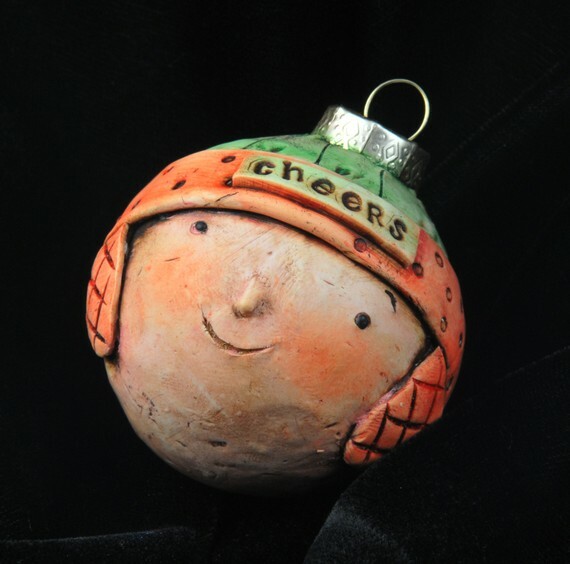 Since I was on the subject or ornaments, I thought I'd share some of my favorite ornaments being offered on Etsy. Then I'll share a couple of link-ups from last week. 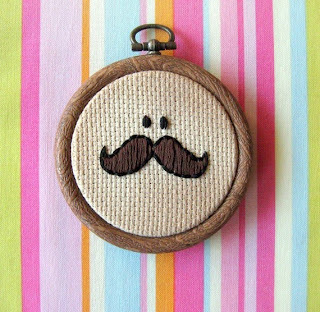 I'm lovin' this Mr. Moustache embroidered ornament from bubblyshnooks. Doesn't it remind you of the old-school Pringles man? I love this little guy from uncommoncreatures. I LOVE snowmen! 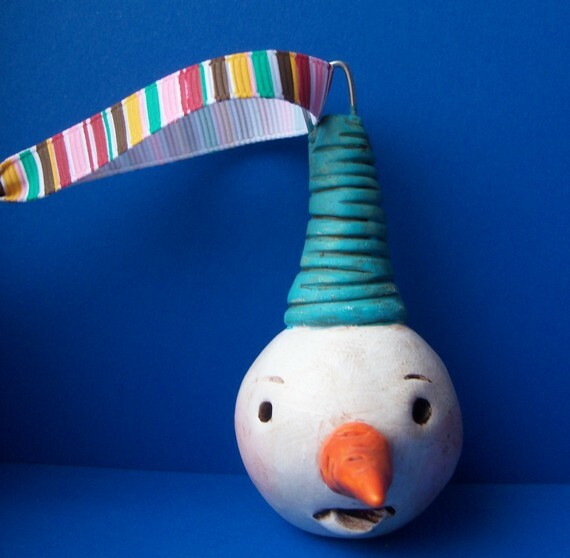 I especially love clay snowmen. I love them so much that Han and I have a collection of snowmen. We usually buy a couple each year and we've got around 20 figurines right now. I've got several clay snowmen ornaments and I'd love to add this one to my collection. This is by indigotwin. They were recently featured on Etsy's front page. 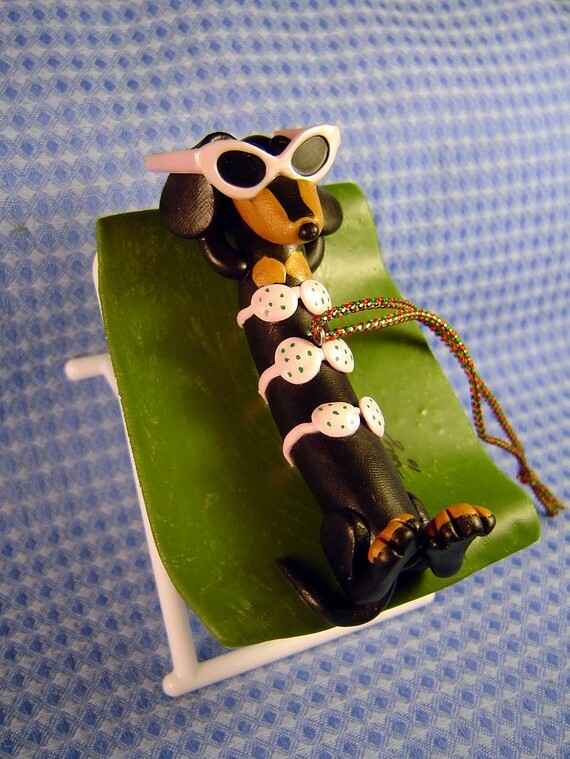 I've got a Mini Dachshund that I absolutely A-D-O-R-E. This ornament would be awesome on my tree. 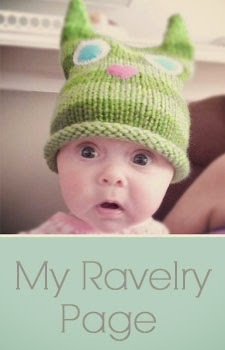 This thing is so stinking cute that I'd probably hang it from my rear-view mirror. Seriously. 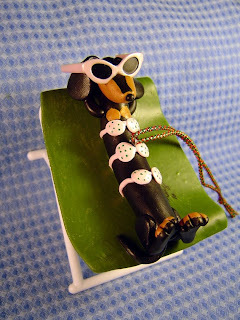 This Dachshund Teenie Weenie Bikini ornament is from RedWagonWieners. I think I'd better stop here because this is just too much temptation for me. 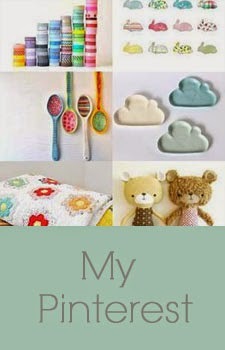 Lets skip to the next part and I'll just show you a couple of posts from last week's link up. Let me just say that I was pleasantly surprised to have 20 links last week. That was waaaay better than what Foodie Friday received. Thanks so much to everyone who linked up! I love these mod-podged blocks that Alicia from Purple Paisley Pinwheels linked up. I'm planning to do some sort of Christmas countdown blocks for Han, but unfortunately, I don't have a cutter so I'll be doing the letters and numbers the hard way. I love, love, love cheese straws and I imagine that these are similar. These WILL be made here in my kitchen, this weekend. For reals! If you were featured, please feel free to grab a button. Thank you so much for faving my blocks. Means a lot to me. Thanks for stopping by The Birds Nest! Just became a follower of yours...I'd love for you to become my newest nest follower!